Agriculture is the backbone of a large nation like India. The crop production is adequate for feeding the million inside the boundaries, and it also earns foreign revenue for the central government via export to other nations. In such circumstances, it is only obvious that the state as well as central governments must take added initiatives in the development of the framing. Scarcity of water and electricity are massive issues. But the central government has implemented several reform policies, which aim at changing the face of agriculture in India. One of them is replacing old and outdates pumps with new efficient farm pumps. The new scheme of replacing old pumps with new ones has been announced by the central government on the 4th of May, 2018. It is a new initiative that is taken by the Central Power Ministry. To make the implementation effective and fast, the department will also involve the Energy Efficiency Services Ltd.
As of now, the central government’s Power Ministry has sanctioned a budget of 400 crores for proper development, design and implementation of the scheme. The agricultural developmental plan will be implemented for a short terms basis. It will run for a period of five years. The fate of its actual implementation will depend on success of the pilot imolementation. A big problem that prevents overall agricultural development in India is the use of outdated farm instruments. Most farmers still put up with old and inefficient pumps which use lot of energy. The central government wishes to eliminate these and install state of the art IoT pump sets. The central government will not charge any money from the farmers. Apart from this, the government will also pay for any maintenance or repairs. The free repairs will be available for a span of 5 years. As of now, around two crore pumps are used by Indian farmers. 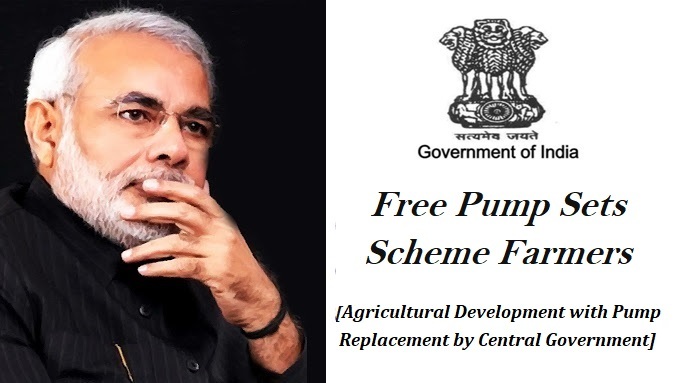 Every year, around 5 lakh additional farm pumps are added to the existing number. The electricity department has estimated that all these agricultural pumps need 173.2 billion units on a yearly basis. Before the country wide implementation of this scheme, the central government wants to test out its potential. Thus, a pilot project has already been implemented in the state of Uttar Pradesh. Around one outdates pumps will be replaced with BEE pumps. These come with five star rating and also have a better control panel. These pumps will be acquired at a cost of ₹150-crore. Old pumps will be replaced by new CRI pumps, and an organization in Coimbatore has received the tender. This pilot project will be implemented in 40,000 farms the state. As of now, the CRI pump manufacturing company will make a total delivery of 43,000 IoT- powered instruments. Till date, around 18,000 units have been successfully delivered. During the last year, the company was able to generate a profit of ₹1,850 crore. With the new contract in its kitty, the company’s profit is estimated to soar to ₹2,600 crore during 2018 – 2019. The company desires to reach the 5000 crore mark by the end of 2022. The use of high power consuming pumps was also too taxing on the electricity production units as well. With these new pumps in place, EESL will be able to curb electricity wastage as well. An estimate highlights that these pumps will lower electricity expenditure by 349 million units. The cost of that is around ₹139.60 crore per annum. The funds can be utilized in other reforms.